Johnnie Lee Noble, son of the late Lela Viola and Johnnie Luke Noble, was born on February 7, 1936 in Franklin County, North Carolina. 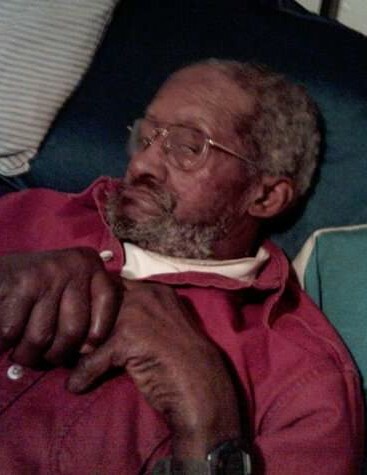 He was called to rest on Monday, February 4, 2019 from the Louisburg Nursing Center in Louisburg, North Carolina. Johnnie accepted Christ at an early and joined Manasseh Chapel Church. He attended Coconut Perry School and following school, he worked at Wilder Brothers Farm Supply for more than fifty years. Johnny enjoyed sitting at Crossroad Store, playing pool, watching westerns, hunting, singing and cutting kids (that was a personal joke for his grandchildren). He was preceded in death by is wife, Gearline Noble, his son and daughter-in-law, Willie Eugene and Bathsheba Jones, one sister, Ruth Mae Perry, one brother, William Thomas Noble and one niece, Lillie Mae Perry. He leaves to cherish his memories: two daughters, Lela Nobel Yarbrough (Mike) and Delois Ann Walker (James) both of Franklinton, NC; two sons, Larry Donnell Noble (Betty) of Louisburg, NC and Thomas Earl Noble (Angela) of Henderson, NC; a sister, Linda Williams of Franklinton, NC; a special niece, Gloria Jones of Franklinton, North Carolina; ten grandchildren, Julius Jones, Doriena Jones, Felicia Yarbrough, Farren Yarbrough Burrell, Stacey Noble, D’Keem Jones, Jamaal Jones, Alicia Walker, Jeremy Walker and Aquarius Noble; twenty-three great grandchildren; six great great grandchildren; a host of other relatives and friends.